The Statue of Liberty, a gift of friendship from the people of France to the people of the United States, arrived in New York City's harbor on this day in 1885. Originally known as "Liberty Enlightening the World," the statue was proposed by French historian Edouard Laboulaye to commemorate the Franco-American alliance during the American Revolution. Designed by French sculptor Frederic Auguste Bartholdi, the 151-foot statue was the form of a woman with an uplifted arm holding a torch. In February 1877, Congress approved the use of a site on New York Bedloe's Island, which was suggested by Bartholdi. In May 1884, the statue was completed in France, and three months later the Americans laid the cornerstone for its pedestal in New York. 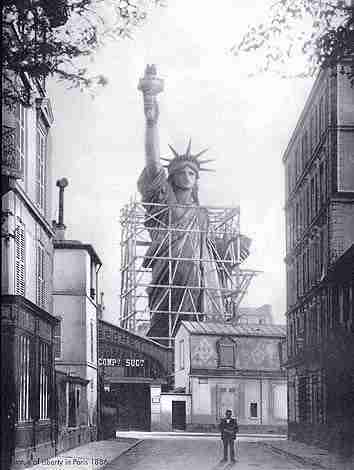 On June 19, 1885, the dismantled Statue of Liberty arrived in the New World, enclosed in more than 200 packing cases. Its copper sheets were reassembled, and the last rivet of the monument was fitted on October 28, 1886, during a dedication presided over by U.S. President Grover Cleveland. In 1924, the Statue of Liberty was made a national monument. 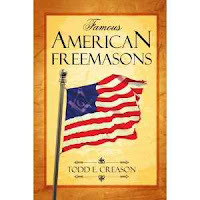 It never ceases to amaze me that I still get e-mails from people who are reading Famous American Freemasons: Volume I, which I published back in 2007. I thought I'd share an excerpt, one of my favorite chapters, from that book. His Indian name was Conotocarius, the same name that had been given to his great-grandfather over a century before. He had a great love of the outdoors, of exploration, and of adventure. His first job was surveying the lands owned by the wealthy Fairfax family—lands that extended west of the Blue Ridge Mountains and into the wilderness of the Shenandoah Valley region. On one of his first grand adven-tures as a surveyor at the age of sixteen, Conotocarius found himself lost for awhile in the Blue Ridge Mountains. He en-countered a rattlesnake and swam his horses across rivers and streams bursting with water from the winter thaw. But despite the hardships of that first journey, he was not deterred; in fact, the journey invigorated him. On that same trip, he encountered a group of Indians, one of whom carried a scalp with him. When encouraged with rum, the Indians performed a rarely seen dance for Conotocarius—the war dance. Little did that group of Indians know that Conotocarius would go on to become one of the greatest warriors and chiefs in the history of the world, but not a chief or warrior of the Indian nation. Conotocarius, which meant “town taker,” was aptly named. He would become famous for taking towns—Boston, Lexington, Yorktown, and New York. Conotocarius is better known in American history as General George Washington. George Washington towered above the Second Continental Congress on June 16, 1775. He was a giant of a man for his time, standing over six feet tall with broad shoulders and massive hands. He was dressed in his blue uniform with buff trim, which he had taken to wearing to each session of the Second Continental Congress. Benjamin Rush said of him, "He has so much martial dignity in his deportment that you would distinguish him to be a general and a soldier from among ten thousand people." Washington had not attended the vote the day before, but he now stood before the assembly and reluctantly accepted the commission for which the body had nominated him—commander in chief of the Continental Army. He had seemed reluctant to accept the nomination in both his speech and in his correspondence home. In fact, in a letter to his wife, Martha, and to his brother, he stated he had not sought the nomination and had done all in his power to stop it. In reality, however, as a leading candidate for the nomination, he had done little to discourage it. This ambiguity was a pattern Washington would repeat when asked to chair the Constitutional Convention and when he accepted the Presidency of the United States. It was as if he were trying to convince himself that his success was not a result of his own ambition or his own doing but that it was thrust upon him from outside sources. It was fairly obvious, however, in June, 1775, that his uniform was advertising his willingness to serve in the capacity of commander in chief. His brief acceptance speech made two main points. First, he explained that he did not feel qualified for the position: “But lest some unlucky event should happen unfavorable to my reputation, I beg it may be remembered by every Gentleman in the room, that I this day declare with the utmost sincerity, I do not think myself equal to the Command I (am) honored with.” Second, he wished to serve without pay. In just a few words, George Washington became the military leader of the American Revolution and a traitor to the British Empire to which he had sworn allegiance. He stood before Congress not only as the military leader of the American Revolution but also as the only member of the Continental Army. Since Congress had elected their general before there even was an army, it was up to Washington to make that army a reality. Nobody understood the odds of winning against the British better than Washington, but he was not convinced it would come to open warfare. He believed that King George III would be impressed with the American resistance and would order Parliament and his ministry to work towards an acceptable compromise with the Americans. In a letter to his wife, shortly after he was commissioned as commander in chief, Washington wrote that he expected to be home by autumn. Washington had no idea that when he left in 1775 for Philadelphia that, with the exception of one stopover in 1781, he would not return to Mount Vernon until 1783. As the new commander in chief in 1775, Washington knew if the situation deteriorated into armed conflicted, even raising an army would be a nearly insurmountable task. Then taking that army up against one of the largest, best-trained, most-experienced forces in the world would leave little chance for victory. But Washington knew, as did the rest of the Congress, that doing just that was necessary. No one was more pleased with the vote than John Adams, who had lobbied hard for the nomination of Washington. He felt Washington was the best candidate; in fact, he felt Washington was the only candidate who should serve in that capacity. However, even Adams had some misgivings about the chain of events that Congress had initiated that day. Specifically, he was concerned about Washington. Adams knew that a man like Washington, despite his seeming reluctance, was ambitious. Adams recognized the danger of setting up a man to be the symbol of the Revolution, especially if he were as ambitious as Adams believed Washington to be. In his reading of history, Adams knew that strong, courageous men such as Washington often sought as much power as they could attain. If Washington were successful, he would become the kind of hero people would worship and revere with such zest that he could assume any power he wished to have. He might even become “king” of the new republic—the very thing the Revolution was fighting against. Washington’s accomplishments during the years that followed are well known, his tactics legendary. He became the greatest hero of the most unlikely victory in the history of the world. Even though he won only three of the nine battles he fought in the Revolutionary War, those victories were enough to defeat the British. With the British surrender at Yorktown on October 17, 1781, a new nation was born. Washington became its iconic symbol, shrouded more in myth and legend than in fact. He, as “Father of Our Country,” came to represent what could be accomplished through strength of character, determination, and persistence. Showing the same reluctance he had shown when taking command of the Continental Army, Washington went on to serve two terms as President of the United States. By the time his second term in office was nearing completion, he had helped to establish the country’s financial system and had all but eliminated the Indian threat east of the Mississippi River. In addition, the Jay’s Treaty and the Pinckney Treaty with Spain had expanded the new nation’s territory and removed some serious diplomatic difficulties. Even though there were fundamental differences between the members of the Democratic Republican Party and the members of the Hamiltonian Federalist Party by the time Washington’s second term neared completion, the two parties were at least united in their acceptance of the new federal government, although Washington had some concerns about the inability of the two parties to agree on very much else. Then, probably to John Adams’ relief, Washington retired after his second term ended in 1797, setting a precedent of two terms. Washington delivered a masterly Farewell Address that made three very important points. His first point warned about political factionalism. The two political parties which had formed in the 1790s, had begun feuding almost immediately. Washington urged Americans to unite for the good of the whole country. His second point cautioned against making foreign alliances, specifically about getting involved in the war between France and Britain. Both parties were leaning towards stronger foreign ties: the Federalists with the British and the Democratic Republicans with the French. His final point called for maintaining political prosperity through morality and religion. Washington’s Farewell Address quickly became the political basis for the formation of the new nation. 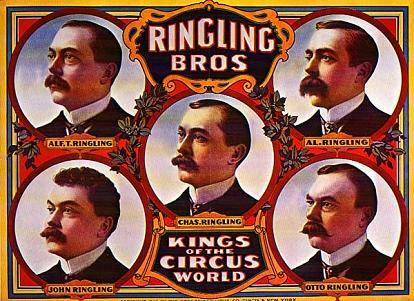 As the symbol of American republicanism, it was adopted as the nation’s political philosophy. Washington returned to Mount Vernon, promising never to go more than ten miles from his beloved plantation again. But he broke his promise. Even after his retirement, Washington returned to Philadelphia and to military service at his country’s call to assist in raising another army, this time against the French. Washington’s position was intended more to scare the French—letting them know the old general of the Revolution was still around—than to lead another army into armed conflict. Back home at Mount Vernon, George Washington was making plans for some improvements to the estate. On the morning of December 13, 1799, he worked outside in the cold and the rain with his compass, marking the ground where the improvements would take place. When he returned to the house, he was seized with chills and nausea and finally went to bed. By morning, his condition had worsened, and a doctor was sent for. Medical practice was crude in early American history. According to common practice, Washington was bled several times. After that, his strength began to fail. He died the evening of December 14, 1799, at the age of sixty-seven. It is believed he was most likely suffering from a form of laryngitis, but experts today believe he probably died from blood loss because of the more than two and a half quarts of blood his physician had bled from him in just over thirteen hours. The reverence with which Americans consider Washington is unparalleled. His face appears on United States money, has been made into hundreds of statues and busts, and is carved on Mount Rushmore. 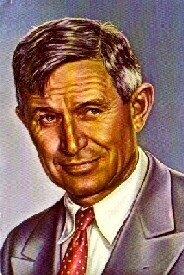 His famous portrait hangs in classrooms and courthouses around the nation. His name has been used to name the nation’s capital, one state, and hundreds of public schools, universities, city streets, lakes, rivers, and monuments. And his name is forever linked in Americans’ minds with famous places and heroic battles in our distant past: Bunker Hill, Yorktown, and Valley Forge. George Washington so believed in the principles of his new nation and government that he refused to allow himself to dominate it. He helped bring this nation into existence by defeating the British and helped guide its early beginnings as the first President. Then he wisely stepped back, allowing the government to grow from the seeds he had planted. On April 30, 1789, Washington was inaugurated the first President of the United States in New York. When the ceremony commenced, it was discovered that no Holy Bible had been provided to swear in the new President. Jacob Morton, who had been the marshal of the parade and was also the Master of the St. John’s Lodge, remarked that he could get the altar Bible used at the St. John’s Lodge nearby. He was encouraged to do so, and the Bible was retrieved. Washington was sworn in on that Bible by the Honorable Robert R. Livingston, Chancellor of the State of New York and Most Worshipful Grand Master of Free and Accepted Masons of the State of New York. Once Washington had finished his oath, he leaned over and kissed the Bible. In 1793, President Washington, wearing Masonic rega-lia, led a large procession of Brother Freemasons, military units, government officials, citizens, and stonemasons to the top of Capitol Hill, where he performed the Masonic ceremony of laying the cornerstone of the United States Capitol Building. The symbolic ceremony involved trying the cornerstone by the plumb, the level, and the square, and then blessing it with the corn of plenty, the wine of happiness, and the oil of joy. Using a symbolic trowel, he spread the symbolic cement which was meant to unite the individual stones of the building into one solid mass and to bring all Americans together as one people. The public cornerstone ritual is still practiced by Freemasons today. 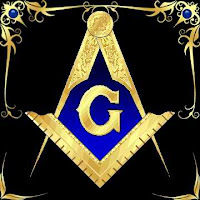 Another story is that several State Grand Masters ap-proached Washington about forming a Grand Lodge of the United States, much like the Grand Lodge of England. They asked him to serve as Grand Master of this United States Grand Lodge. Washington declined the offer. To this day, each state in the Union governs its own lodges independently with no national Grand Lodge. At the age of 62, George Washington, wearing Masonic regalia and the Past Master’s Jewel, sat for a portrait painted by artist William Joseph Williams. It is one of several portraits of George Washington as a Freemason. As revered as Washington is by his country, he is re-vered to this day even more by his Masonic brethren. 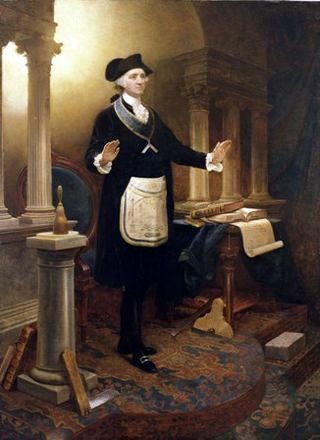 One uniquely American Masonic tradition is attributed to George Washington. 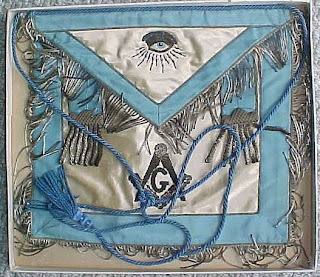 Legend has it that George Washington first pre-sented an America flag to a Masonic Lodge during the Revolutionary War. The American flag has been displayed in American lodges ever since, and every Masonic meeting in the United States is opened with the Pledge of Allegiance. Famous American Freemasons: Volume I is also available for Nook and Kindle. 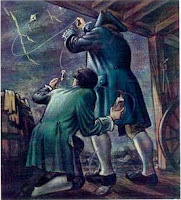 On this day in 1752, Benjamin Franklin flies a kite during a thunderstorm and collects a charge in a Leyden jar when the kite is struck by lightning, enabling him to demonstrate the electrical nature of lightning. Franklin became interested in electricity in the mid-1740s, a time when much was still unknown on the topic, and spent almost a decade conducting electrical experiments. 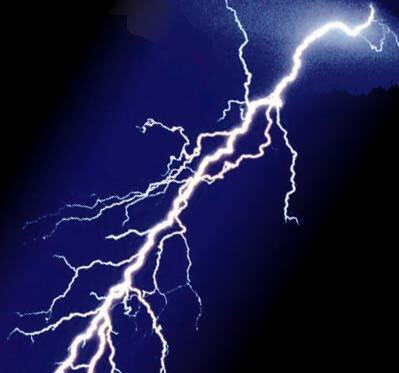 He coined a number of terms used today, including battery, conductor and electrician. He also invented the lightning rod, used to protect buildings and ships. Franklin was born on January 17, 1706, in Boston, to a candle and soap maker named Josiah Franklin, who fathered 17 children, and his wife Abiah Folger. Franklin's formal education ended at age 10 and he went to work as an apprentice to his brother James, a printer. In 1723, following a dispute with his brother, Franklin left Boston and ended up in Philadelphia, where he found work as a printer. Following a brief stint as a printer in London, Franklin returned to Philadelphia and became a successful businessman, whose publishing ventures included the Pennsylvania Gazette and Poor Richard's Almanack, a collection of homespun proverbs advocating hard work and honesty in order to get ahead. The almanac, which Franklin first published in 1733 under the pen name Richard Saunders, included such wisdom as: "Early to bed, early to rise, makes a man healthy, wealthy and wise." Whether or not Franklin followed this advice in his own life, he came to represent the classic American overachiever. In addition to his accomplishments in business and science, he is noted for his numerous civic contributions. Among other things, he developed a library, insurance company, city hospital and academy in Philadelphia that would later become the University of Pennsylvania. Most significantly, Franklin was one of the founding fathers of the United States and had a career as a statesman that spanned four decades. He served as a legislator in Pennsylvania as well as a diplomat in England and France. He is the only politician to have signed all four documents fundamental to the creation of the U.S.: the Declaration of Independence (1776), the Treaty of Alliance with France (1778), the Treaty of Paris (1783), which established peace with Great Britain, and the U.S. Constitution (1787). And of course, Benjamin Franklin was a very active Freemason. He very much wanted to join the Freemasons, but at first he had a difficult time getting invited to join. Much like Franklin, the Freemasons were dedicated to civic works and fellowship. They held a nonsectarian policy about religious toleration which mirrored his beliefs. Franklin also saw membership as a step on the social ladder. In hopes of currying favor with the Freemasons, he began to publish small, favorable pieces about the Freemasons in his newspaper. When that did not work, he tried a different tactic. In December of 1730, he published a long article in his paper claiming to have un-covered some of the secrets of the Freemasons. He claimed one of these secrets was that many of the so-called “secrets” were actually hoaxes. 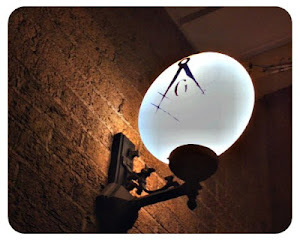 Within a couple of weeks, Benjamin Franklin was initiated into the St. John’s Lodge. 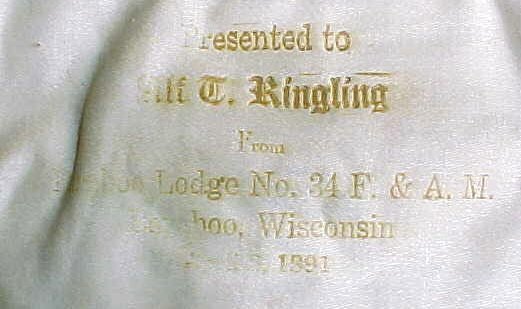 Shortly after his initiation, his newspaper printed a retraction of the article and put in its place a glowing piece about the positive influences of Freemasonry. 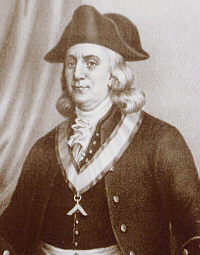 Brother Benjamin Franklin became a Master Mason at St. John’s Lodge in Philadelphia in 1731. He was a very active Freemason his entire life, eventually becoming Master of his Lodge and later, in 1734, the Grand Master of the Grand Lodge of Pennsylvania. In 1749, he was appointed Provincial Grand Master of Massachusetts. He also visited the Grand Lodge in England and was accepted as a member of the influential Lodge of the Nine Sisters (or Nine Muses) in Paris, where he assisted with the initiation of Voltaire as a Master Mason and helped in the election of such influential members as John Paul Jones. It seems unusual that a man such as Benjamin Franklin would join Freemasonry. He was an innovator, an inventor—someone who was always at the forefront of new ideas and new philosophies, yet the organization he joined, and so faithfully served, was an organization all about tradition and ancient ritual. Perhaps Franklin saw Freemasonry as a model of what a proper governing body should be; in fact, inferences about Freemasonry and the development of the ideals in the United States have been made before. 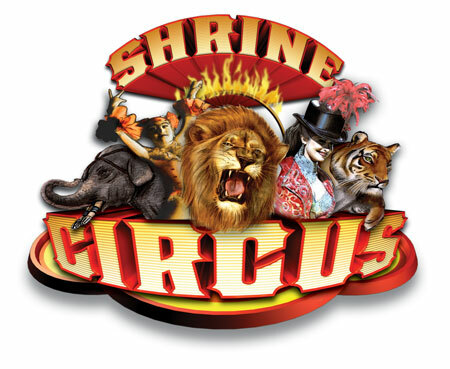 Lodges have always elected their own leaders and practiced tolerance of all religious beliefs. Whatever it was that Franklin admired in the organization, he never tried to change it. In fact, Franklin worked hard to preserve it by helping to create the by-laws of the St. John’s Lodge in Philadelphia and by printing the American Constitutions for Freemasonry. Franklin died at age 84 on April 17, 1790, in Philadelphia. 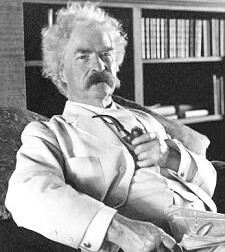 He remains one of the leading figures in U.S. history. 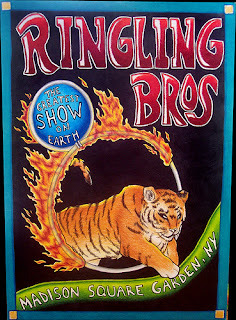 I just re-read this book. I don't know how many books I've read on the topic of Freemasonry, but this is without doubt one of my absolute favorites. In fact, I read it before I was a Mason, and it's part of the reason I joined. John J. Robinson wrote three books, and all of them are good. 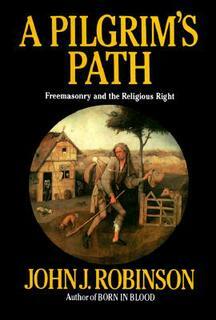 In A Pilgrim's Path Robinson, a non-Mason at the time he wrote it, goes into depth about what a Freemason actually is. Where it originated. He talks about it's values, tenets, and the real goals of the fraternity. Then he very effectively deconstructs all the misconceptions, fabrications, and misstakements made about the fraternity over its long history. 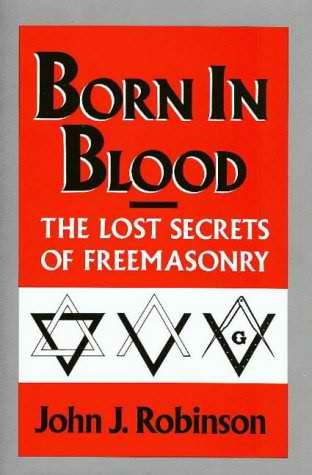 It's probably one of the best books that's ever been written about what Freemasonry is, and what it is not. I'd say Born In Blood is a close second as far as my favorites go. He wasn't a Mason when he wrote this one either. It goes into some depth about Freemasonry's history long before it revealed itself to the public in 1717, starting back with the 1318 Peasant's Revolt in England, and its ties to the Knights Templar, long after they were supposedly destroyed. Dungeon, Fire, & Sword is also good. It tells some of the backstory of the Knights Templar during the Crusades, and their later destruction by the Catholic Church. It asks the question--did the Knight's Templar end there, or did they survive by going underground and passing on their values, tenents, and virtues through the guilds of stonemasons that were building the great cathedrals, castles, and palaces across Europe. John J. Robinson later became a Freemason. I think he liked what his research told him about the fraternity. Good reads. Check them out.